Can I Ride a Motorcycle on My Provisional? The first step to your motorcycle journey is applying for your provisional licence. This licence allows you to ride a motorcycle legally on UK roads once you have completed the CBT. Provide addresses you’ve lived over the last 3 years. *Note: The DVLA may request that you send in original copies of these documents with your provisional licence application if an identity check does not tally. In that case, photocopied or laminated certificates including duplicates which are certified will NOT be accepted. The cheapest and fastest way is to apply online. You should expect to receive the provisional licence within one week if applied online. Sign up to our Provisional Licence guide for the full detail, online application and step by step process. 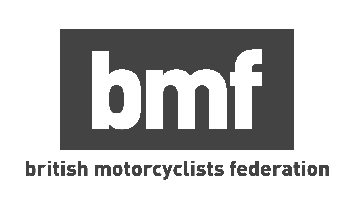 Do I need a provisional licence card to take a CBT test? Yes you do. You will also need to take the provisional licence card on the day of training. Are there other ways to apply for my provisional licence if I can’t do it online? Yes, you can request for a D1 form at a post office or through a DVLA form ordering service. Do I need a debit or credit card to make an application payment online? Yes you do. These are the only methods to pay the DVLA. Can I ride a motorcycle after receiving my provisional licence ? You are only allowed to ride a scooter accompanied by an instructor at a CBT training. You can only ride unaccompanied after your CBT training.